The Monks Simeon, Fool-for-Christ, and his Fellow-Ascetic John were Syrians, and they lived in the sixth century at the city of Edessa. From childhood they were bound by close ties of friendship. The older of them, Simeon, was unmarried and lived with his aged mother. John, however, although he was married, lived with his father (his mother was dead) and with his young wife. Both friends belonged to wealthy families. When Simeon was thirty years old, and John twenty-four, they made a pilgrimage to Jerusalem on the Feast of the Exaltation of the Venerable and Life-Creating Cross of the Lord. On the journey home the friends spoke of the soul’s path to salvation. Dismounting their horses, they sent the servants on ahead with the horses, while they continued on foot. Passing through Jordan, they saw monasteries on the edge of the desert. Both of them were filled with an irrepressible desire to leave the world and spend their remaining life in monastic struggles. They turned off from the road, which their servants followed to Syria, and they prayed zealously that God would guide them to the monasteries on the opposite side. They besought the Lord to indicate which monastery they should choose, and they decided to enter whichever monastery had its gates open. At this time the Lord informed Igumen Nikon in a dream to open the monastery gates, so that the sheep of Christ could enter in. In great joy the comrades came through the open gates of the monastery, where they were warmly welcomed by the igumen, and they remained at the monastery. In a short while they received the monastic tonsure. After remaining at the monastery for a certain time, Simeon desired to intensify his efforts, and to go into the desert to pursue asceticism in complete solitude. John did not wish to be left behind by his companion, and he decided to share with him the work of a desert-dweller. The Lord revealed the intentions of the companions to Igumen Nikon, and on that night when Saints Simeon and John intended to depart the monastery, he himself opened the gates for them. He prayed with them, gave them his blessing and sent them into the wilderness. When they began their life in the desert, the spiritual brothers at first experienced the strong assaults of the devil. They were tempted by grief over abandoning their families, and the demons tried to discourage the ascetics, subjecting them to weakness, despondency and idleness. 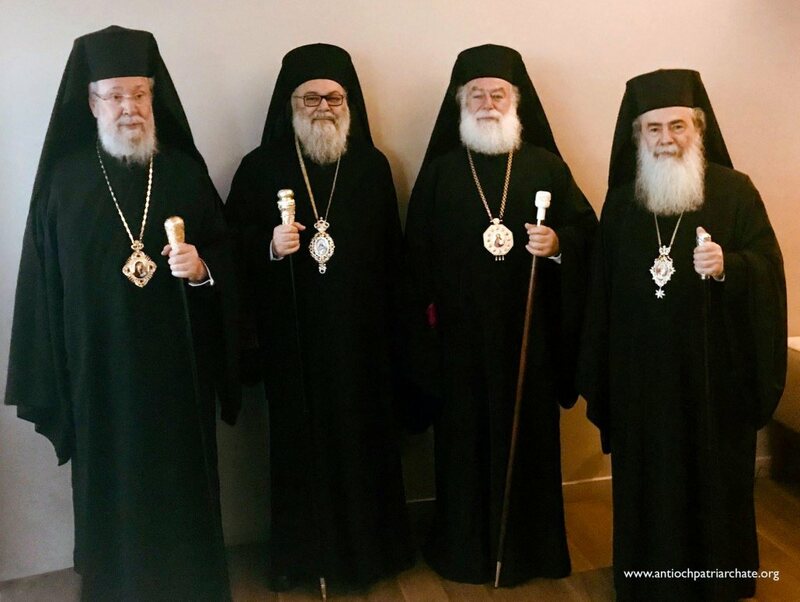 The brothers Simeon and John remembered their monastic calling, and trusting in the prayers of their Elder Nikon, they continued upon their chosen path. They spent their time in unceasing prayer and strict fasting, encouraging one another in their struggle against temptation. After a while, with God’s help, the temptations stopped. The monks were told by God that Simeon’s mother and John’s wife had died, and that the Lord had vouchsafed them the blessings of Paradise. After this Simeon and John lived in the desert for twenty-nine years, and they attained complete dispassion (apathia) and a high degree of spirituality. Saint Simeon, through the inspiration of God, considered that now it was proper for him to serve people. To do this, he must leave the desert solitude and go into the world. Saint John, however, believing that he had not attained such a degree of dispassion as his companion, decided not to leave the wilderness. The brethren parted with tears. Simeon journeyed to Jerusalem, and there he venerated the Tomb of the Lord and all the holy places. By his great humility the holy ascetic entreated the Lord to permit him to serve his neighbor in such a way that they should not acknowledge him. Saint Simeon chose for himself the difficult task of foolishness for Christ. Having come to the city of Emesa, he stayed there and passed himself off as a simpleton, behaving strangely, for which he was subjected to insults, abuse and beatings. In spite of this, he accomplished many good deeds. He cast out demons, healed the sick, delivered people from immanent death, brought the unbelieving to faith, and sinners to repentance. All these things he did under the guise of foolishness, and he never received praise or thanks from people. Saint John highly esteemed his spiritual brother, however. When one of the inhabitants of the city of Emesa visited him in the wilderness, asking for his advice and prayers, he would invariably direct them to “the fool Simeon”, who was better able to offer them spiritual counsel. For three days before his death Saint Simeon ceased to appear on the streets, and he enclosed himself in his hut, where there was nothing except for bundles of firewood. Having remained in unceasing prayer for three days, Saint Simeon fell asleep in the Lord. Some of the city poor, his companions, had not seen the fool for some time. They went to his hut and found him dead. Taking up the dead body, they carried him without church singing to a place where the homeless and strangers were buried. While they carried the body of Saint Simeon, several of the inhabitants heard a wondrous church singing, but could not understand from whence it came. Venerable Raphael lived in the old monastic settlement of Agapia in the Hills, in the 16th century. 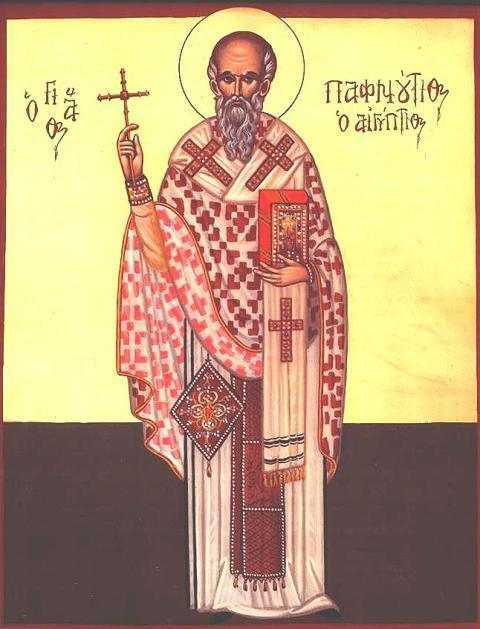 He was acclaimed especially in Moldavia, as one of the great Romanian Saints, whose relics Saint Hierarch Dosoftei, metropolitan of Moldavia, looked for to venerate them. According to certain chronicles, Saint Raphael was born in Bursucani village, in Bârlad area, as the son to some virtuous parents. The fame of the high spiritual life of the monks from “Agapie’s Monastery” attracted many followers of Christ, going beyond the boundaries of Moldavia and even beyond the Carpathians. The pious man listened to his inner call and obedience to God wishing to walk on the narrow spiritual path the hermits had walked throughout the centuries. He was very surprised to see the austere life, prayer and silence of the fathers. But most of all he was impressed by the spirit of their sincere love. He became disciple of the fathers with love for Christ and good courage in his soul. He learned from them that obedience was the most precious virtue and that only the pure hearted could enter the Kingdom of God, but to attain purity much self-restrain was needed. He also learned the mysteries of the spiritual life endeavouring to be like the fathers in his efforts, prayer and humbleness. After much obedience, the disciple put on the good yoke of Christ, joined the monastic life and received the name of Raphael, which means “God has healed”. He endeavoured to achieve all virtues and, thus, he became a bearer of all spiritual benefits, so that all the others paid much attention to him and wanted to follow him. The severe life of this saint is wrapped in mystery. It is known that the fathers from Agapia observed certain regulations of the place which monk Raphael did not avoid. The monks lived a coenobitic life and whoever was strengthened enough and wished the peacefulness and quietness of the secluded places left the monastery, with blessing, to live an ascetic life near an old man, and later on, maybe alone. The mountains are silent witnesses of the saints’ lives. There are lots of secluded places fit to be used in that way. The rocks, caves, sunny meadows, valleys where the forest begins to disappear have always been inhabited by hermits. Venerable Raphael followed this blessed path too, retiring in seclusion in the heart of the mountains like an eagle on high. The hermits, the shining flames who lit the bare mountains with their angelic life, revealed him the mysteries of the spiritual work done by mind. But, his best guide was the holy quietness needed to find the heavenly blessings and succeeded, through pure prayer, in rising above the earthly things and in seeing the glory of God as much as he was allowed to. The result of his spiritual efforts and of the permanent prayer was the great gifts difficult to describe in words. God who loves the humans, Who wants that everybody is saved, made him a guide to the brethren of the community because he surprised all those around through his angelic life and wisdom beyond nature. In the old Holy Chronicle and old lists he is called “Blessed Abbot Raphael”. They all looked at him as at an icon of virtues. He was a burning light for the hermits, as well as a loving father for the Christians from the villages of Moldavia who came to him as to a safe haven, for prayers, healings and help in all kind of needs, in time of peace or of trouble for the country. After his passing away from this world, his disciples who knew his life and ascetic efforts and saw the miracles occurred at his grave, unburied his body and found it emanating good fragrance. It was laid in the church for veneration. 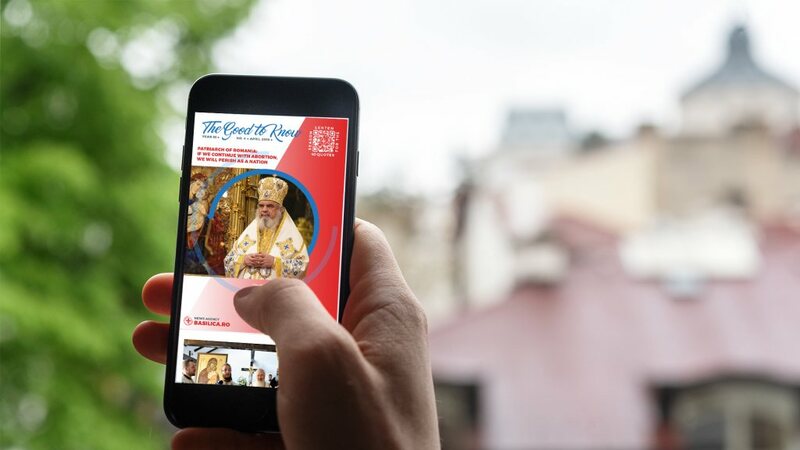 His relics were very precious for Moldavia since the faithful came to pray in front of them, especially at the celebration of the patronal feast day of Neamţ Monastery, when a pilgrimage was organised to Neamţ, Agapia and Secu Monasteries. This pilgrimage is still organised today at Old Agapia, although the whole bodies of the Saints were hidden because of the hostility of times. Saint Parthenios, the holy wonderful father, worthy descendent of the hermits from Agapia Mountains, lived in this part of the world in the 17th century. Saint Hierarch Dosoftei, metropolitan of Moldavia, who knew many monks with great spiritual life in Moldavia, numbers pious Parthenios among the Romanian saints whose life and living he knew. Having been a disciple of abbot Euphrosynus, founder of the monastery in the Fathers’ Orchard, he is tonsured in the monastic realm by him. One cannot know how long he lived the coenobitic life and how long as a hermit. Tradition says he lived his hermit’s life in Scaunele (“Chairs”) mountain, following the example of the fathers of ancient times. Their daily programme was the following: they prayed in solitude at day time, reading especially the Psalms, which they knew by heart, and at sunset they tasted a little bread and boiled vegetables, and then worked at night saying Jesus’ prayer in mind and knitting baskets by hand. They slept only a little, when they got tired, on chairs put between fir trees. This ascetic living continued uninterrupted until morning. The disciples took the baskets to the market where they sold them and with this money they would buy food and everything needed for the life in the hermitage. These “chairs” gave the name to the mountain and the meadow. Father Parthenios is considered also as one of the igumens of Agapia Monastery. Many monks and hermits were saved through his gentle prayer and advice. 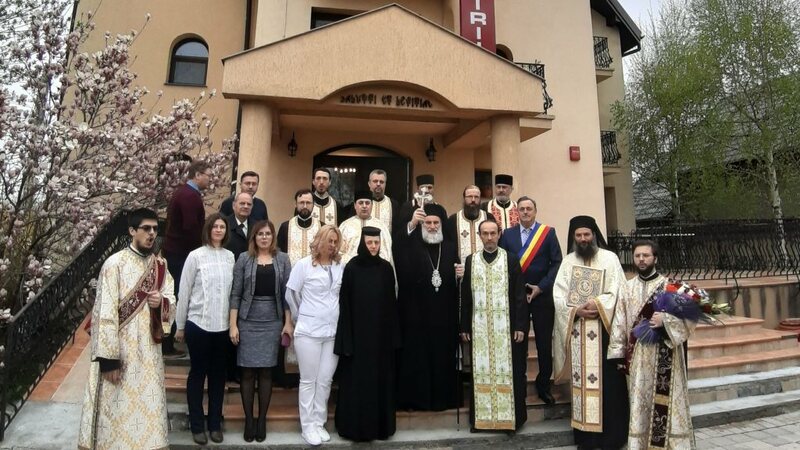 He was a person educated and full of wisdom and having so much love for the Holy Scriptures and the writings of the Holy Fathers, he took good care that the brethren of the community should have these treasures in times when they were obtained with great effort and expenses. He had the gift of healing and could cast out the demons from those possessed by them. He has always been honoured by monks and faithful due to his holy life. His holy wonderful life is also confirmed by the fact that after his death (about 1660), his body was found unaltered. Monks and faithful from everywhere used to come with great devotion and hope to pray in front of his holy relics. The holy relics of Venerable Parthenios must have been hidden at the same time with those of Venerable Raphael. These two great enlighteners of the monks complete the series of the fathers who saintly lived throughout the centuries at “Agapie’s Monastery” and in its neighbourhood. 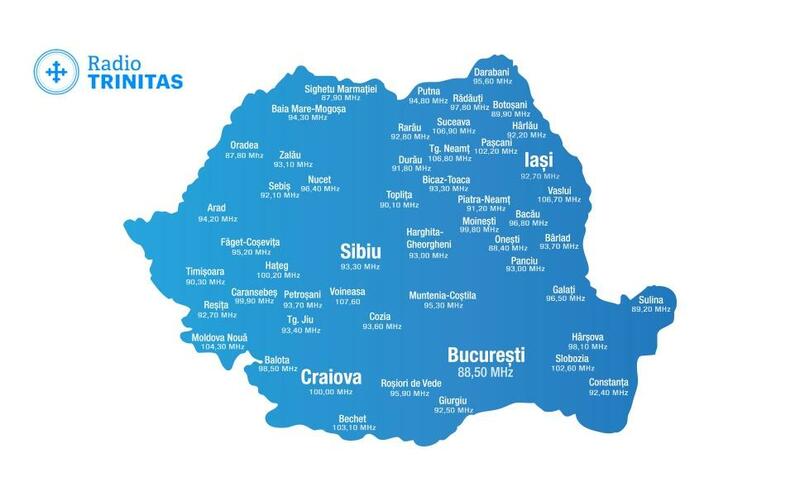 The Holy Synod of the Romanian Orthodox Church, through the Tomos of 6 March 2008, placed them among the saints, being celebrated on 21 July. 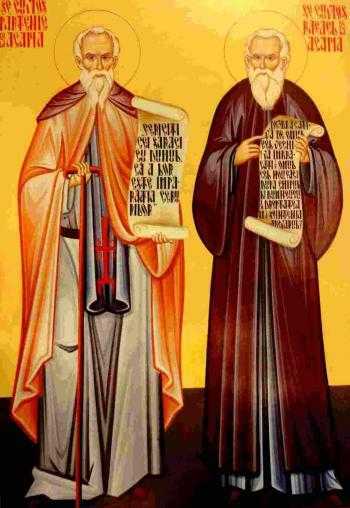 Followers and fulfillers of the Gospel, oh, Venerable Fathers Raphael and Parthenios, most illuminated hermits of the mountains of Moldavia, toiling through fasting and prayer, you soared with divine longing and now in Heavens do pray to Christ to offer grace and great mercy to those who honour you with love.